Welcome to the 4th Young Adult Committee Embryos Sale. 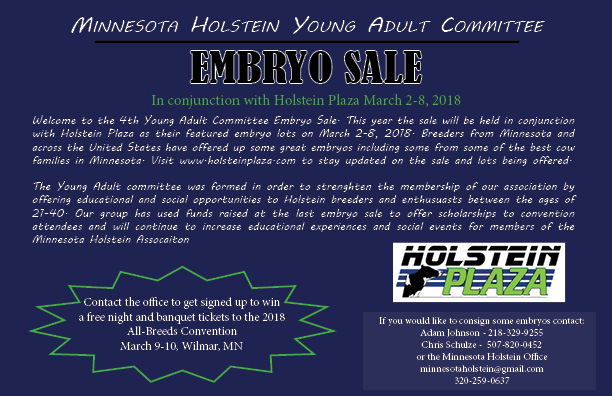 This year the sale will be held in conjunction with Holstein Plaza as their featured embryo lots on March 2-8, 2018. Breeders from Minnesota and across the United States have offered up some great embryos including some from the best cow families in MN.